The cost of both legacy and open source ETL tools has now become too high to justify keeping them, or starting more projects with them. They also cannot perform well when data volumes exceed memory. That means more hardware and infrastructure costs. And, their complexity means more consulting costs. IRI (The CoSort Company), the leader in affordable big data manipulation, has successfully partnered with Erwin, the leader in metadata-driven automation, to help you can rapidly convert the mappings in your legacy ETL tool to faster, cheaper, and simpler jobs in IRI Voracity. The AnalytiX DS Code Automation Template frameworks (CATfx) and LiteSpeed Conversion services now available with Erwin Mappnig Manager provide a proven Software as a Service (SaaS) solution for converting existing ETL jobs and metadata. 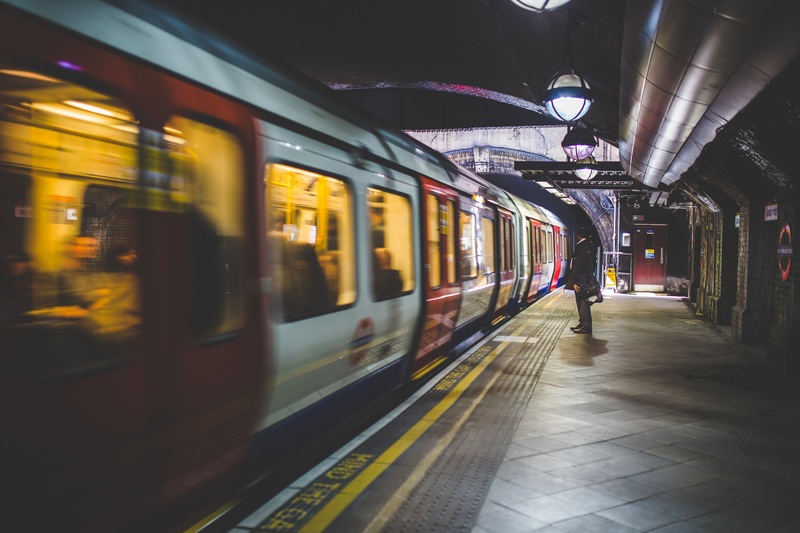 And, if part of your strategy is to reduce costs by eliminating expensive database platforms like Teradata or Netezza, you can also use Erwin and Voracity automation to accelerate these migration processes in parallel. The time and cost of migration will depend on the number and complexity of the mappings you have. Erwin is a proven expert in the field of moving jobs in spoke ETL products through their hub and out to others. They can rapidly assess and report on your job inventory and data lineage. The cost of Voracity is a fraction of every major ETL tool above. IRI has deliberately remained a low overhead provider of best-in-class data movement and manipulation technology since it introduced CoSort in 1978. See how much faster Voracity runs because of its CoSort engine, or now myriad, seamless Hadoop options. 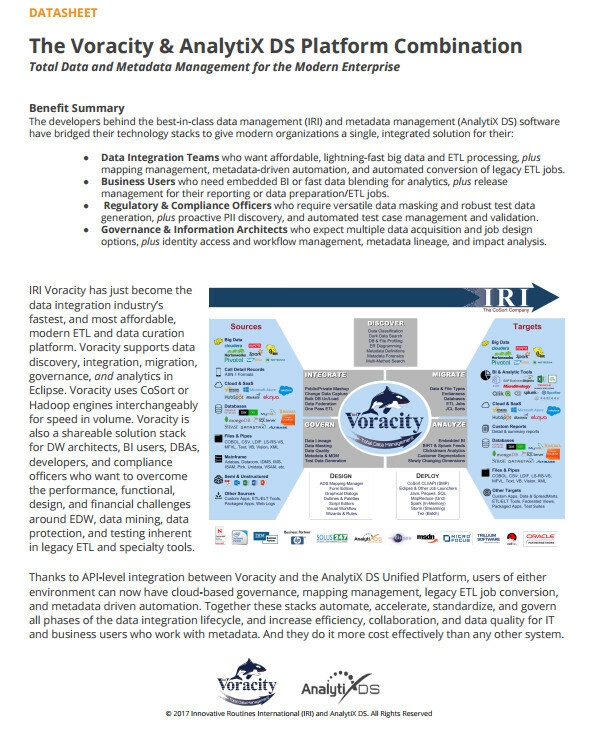 Voracity is the only modern high-performance data integration and data life cycle management platform that combines data discovery (profiling), integration, migration, governance, and analytics in Eclipse. Voracity is powered by IRI CoSort or seamless MapReduce 2, Spark, Spark Stream, Storm, or Tez engines. Find out why Voracity -- built on Eclipse™ and powered interchangeably by CoSort or Hadoop engines -- is a better data management platform than the slower, more expensive megavendor ETL tool that you can finally leave.